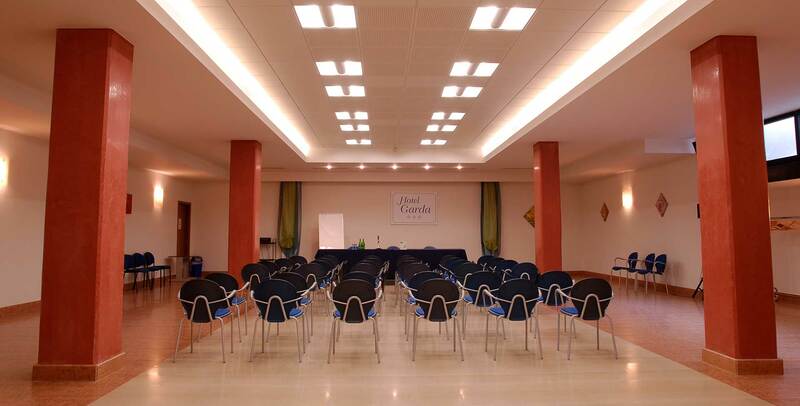 Hotel Garda is the ideal place for your business meetings, job interviews, corporate training sessions, presentations and conventions. 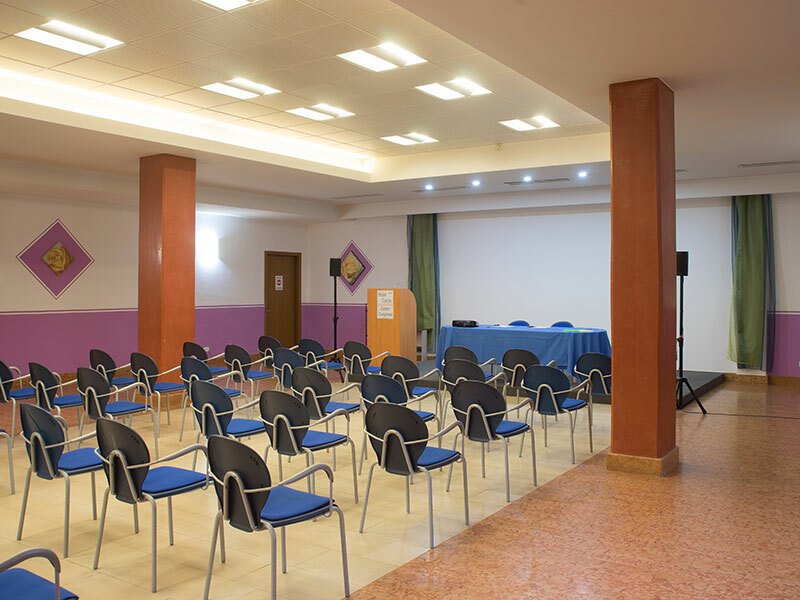 We have 3 function rooms to offer you based on your needs. The hotel also has ample parking space, both outdoor and within our indoor garage. This 360m2 room has a podium stand on a mezzanine for speakers and up to 160 chairs with folding desk-flaps arranged in rows. 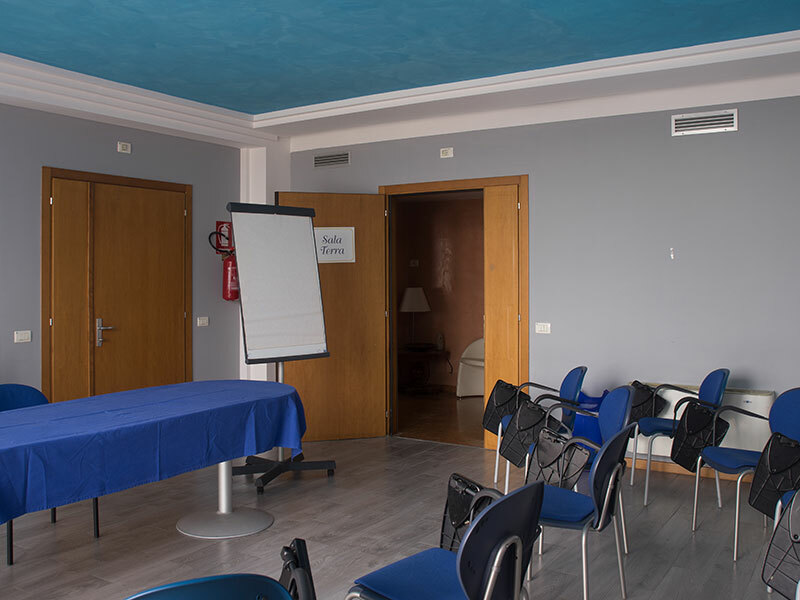 The room also has wireless internet connection, a flipchart board, an overhead projector, a TV and computer projector and screen, video player, stereo, wireless microphone and sound amplification system. The room is artificially lit, and can therefore also be made completely dark. 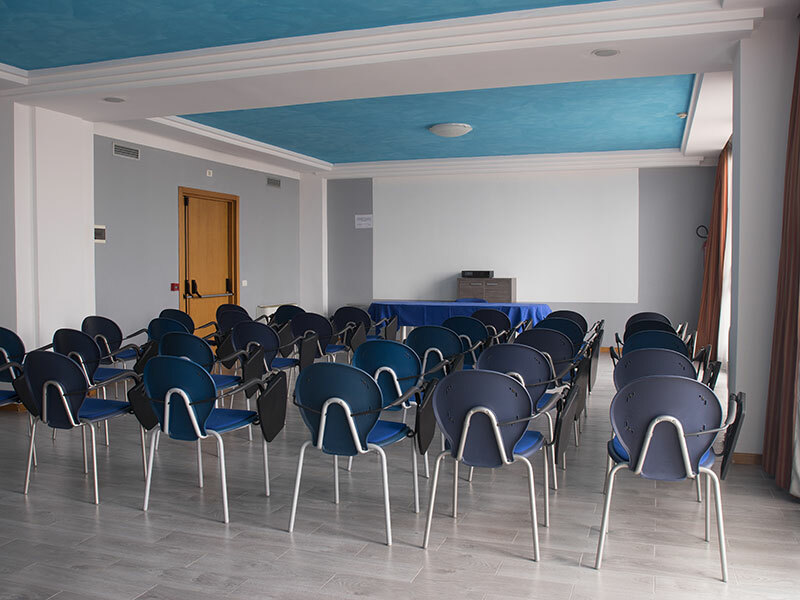 This 150m2 room has a podium stand on a mezzanine for speakers and up to 60 chairs, as well as a flipchart board, an overhead projector, projector screen and computer projector. This room is well lit by natural light, but can be made dark through the use of drapes. This 130m2 room can be pre-arranged with tables and chairs in a horseshoe setting, or alternatively with one large table that seats 30 people. It also has a flipchart board, an overhead projector, projector screen and computer projector. This room is well lit by natural light, but can be made dark through the use of drapes. Our coffee break room is spacious and airy. We can prepare sweet snacks, cakes, brioches, fruit juices and hot drinks, as well as savoury snacks like bocconcini mozzarella salads, pretzels, non-alcoholic aperitifs and hot drinks. Thanks to our large restaurant, we can easily prepare buffet and a la carte meals. Our cook is at your service and can offer you a personalised menu.